SETTING UP YOUR OWN WEBSITE? There’s all that this and <tag=””> that… Wait, how do you even create a post with all these technobabble? Well fear not, because I’m here to guide you through all these complexities, every step of the way! Many people easily get overwhelmed with all the information out there on building a website, so much so that they resort to paying thousands of bucks on a web developer to make a website for them. How big or small should it be? Should it be a free or paid site? 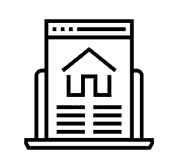 Which web host is better for housing your domain? There are a lot of things to consider, which is why you need someone to guide you all the way. In this starter guide, I will teach you how to build a professional website from scratch. I created it with beginners and laypersons in mind. My aim is to walk you through the entire process, from planning all the way to launching your site. I make very few assumptions about what you already know (except maybe the fact that you’re well-versed in surfing the Web since you’re reading this guide from the Internet). Make no mistake – creating a website is time-consuming! But it shouldn’t be a daunting task for anyone. This starter guide is very detailed yet very easy to follow.  Who doesn’t love this popular blogging platform, anyway? You can use it for free, plus you have thousands of amazing themes and plugins to choose from! With WordPress, you can get your site up and running in no time. By the time you finish reading this guide (and following everything in it), you’ll have a professional-looking and mobile-friendly website in just a matter of minutes! That’s so yesterday! I make sure to keep this starter guide up-to-date so you can build a future-proof website. Creating a website is no walk in the park. It’s going to take you a lot of time and possibly money, too. With that said, you need to set a limit on both, and then dive in. Planning out your site doesn’t have to be one, big, complex spreadsheet. At the very least, you’ll need a pen and a notepad to list down your goals and purpose of building a website, and what it will do for you and your visitors/customers. You also need to consider your site’s content, the number of web pages, what goes where, etc. When you think”Internet”, what’s the first things that comes to mind? These are good places to start. A huge fan of reggae music? You could build a website that’s dedicated to fans of this genre and create a community around it. Want to create a blog for you and your family? Sure! But remember that the Interest is full of nasty You could build a website that’s dedicated to fans of this genre and create a community around it. Want to create a blog for you and your family? You could build a website that’s dedicated to fans of this genre and create a community around it. Want to create a blog for you and your family? NOW THAT YOU HAVE A PLAN LAID OUT FOR YOUR SITE. And every other tool that you “couldn’t afford to miss”. So how can you go about building your site with all of these options laid out in front of you? HIRE SOMEONE ELSE TO DO IT YOU. Okay, it’s not the best option out there and should, in fact, be your last resort. But if you couldn’t do the job yourself or you’re too busy to learn new programming languages (and you have plenty of cash to burn), hiring a professional might be your best option. But before hiring someone, make sure to ask for their portfolio and double-check their references. You don’t want to waste your time, effort, and money on the wrong person, do you? You can find a professional web developer and designer via Upwork (formerly oDesk). This freelance talent marketplace connects businesses and independent talents, where they can collaborate on projects remotely. I’ve found and hired some of the best people in my team through this freelancing platform, so you should give it a try! If you know how to use a website-building software like Adobe Dreamweaver, then building a website from the ground up would be a whole lot easier. Of course, you might need to do a little bit of coding, but don’t fret! HTML looks complicated at first but once you get the feel of it, it might not be so difficult after all. The great thing about using a website design software like Adobe Dreamweaver is that it simplifies the process by allowing you to drag and drop content like text, images, videos, and just about anything else you can think of, usually without ever touching HTML code. 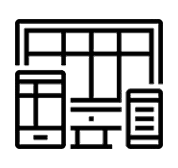 Many other applications will even allow you to build websites specifically for mobile devices. 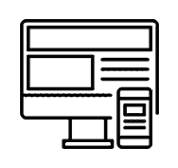 It’s a good starting point if you’re planning to create a basic or personal site.after all. Perhaps the only problem with this method is that there’s a little bit of learning curve. Yes, you don’t have to dig into HTML, but it’s not tentirely geek-free either. So if you’re in a hurry to launch a site, this isn’t your best option. Plus, if you have no experience in graphic design, your website might just be a sight for sore eyes.  You can somehow placate this by using a pre-made template (some applications come packed with free templates), although many of them have limitations. Now this is one particular method I’m going to expound on. Several years ago, most websites were building using CSS, HTML, and Flash. These are time-consuming and were difficult to master, which is why a lot of people think building a website can only be done by coding experts. But that’s no longer the case! Around 2013, CMS have made the website-building process easier and more accessible to everyone. Basically, a CMS is a platform for creating websites and managing your own content, instead of using loose HTML pages. Once you host your site on the CMS, you can take control of your site from anywhere in the world, as long as you have Internet connection. WordPress is a perfect example of a CMS. 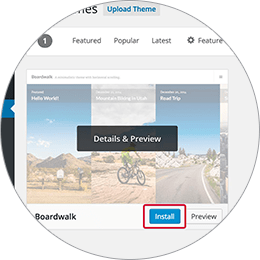 It allows you to create pages and posts quickly and easily, set up menus, and even lets you choose from thousands of amazing themes and plugins. But WordPress isn’t the only CMS out there. 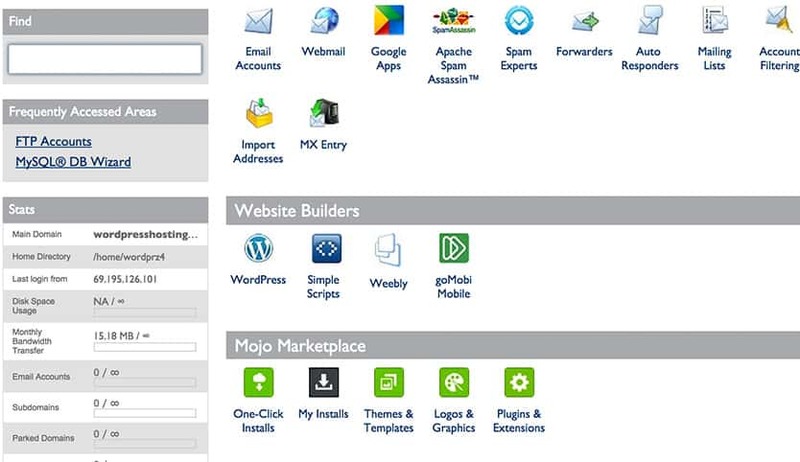 There are many other great platforms, like Joomla and Drupal. So… What Makes WordPress the Top Player? in fact, this very website is built with wordpress,too! You can use it for FREE, with loads of themes and plugins to choose from! Using WordPress won’t cost you a single penny. What’s more, it’s backed by a huge community of amazing theme and plugin developers, so your site can hit the ground running. Getting around with WordPress is as easy as using Microsoft Word – and that’s no exaggeration! 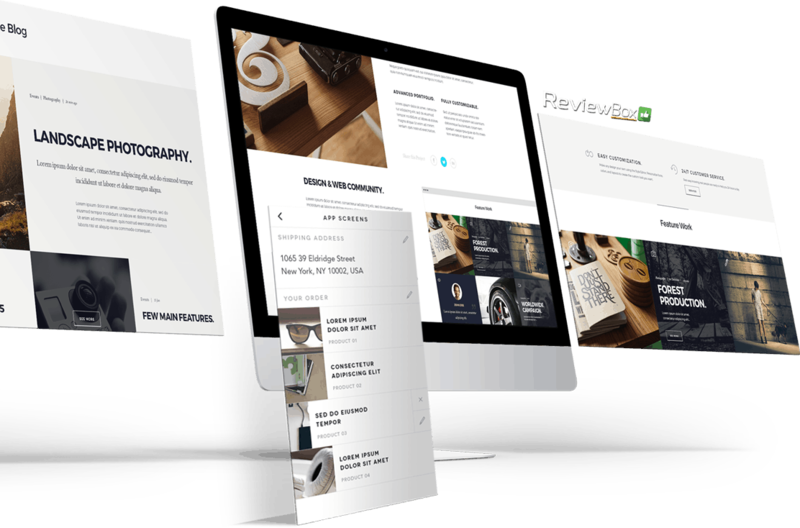 Additionally, you can expand its functionality with plugins so it can handle just about any type of website, from a fun personal blog to a professional corporate website. With WordPress,you can easily build a responsive website that adapts and looks great on any mobile device. Has a huge support community. With millions of WordPress users around the world, it’s easy for you to find the help you need, whenever you need it. There are lots of people that give out free resources that you can dig into, as well. Joomla is just like WordPress and is a popular choice among online business owners.However, you need to at least have basic knowledge in technical coding to make it work the way you want. Drupal is also a powerful CMS that’s widely used by advanced web developers and programmers. However, it comes with a steep learning curve, so it’s not a good choice for newbies. Again, for beginners, I highly recommend you stick with WordPress. It’s arguably the easiest CMS to work with, and it’s flexible enough to meet everyone’s needs. Now that we’ve got the various CMS/website building platforms covered, let’s move on to the next step, which is..
A domain name and a web host. WordPress itself is free to use, but a domain name and web host require you to pay around $5 to $10 per month (or more depending on your chosen hosting package). You can also go for free hosting but take note that most of these services come with plenty of drawbacks. For example, most free web hosts require you to display ads, pop-ups or links they choose on your website. This often comes without compensation to you. Oftentimes, these ads are the annoying, flashy types so they can’t be ignored. Worse still, these free web hosts won’t even let you place your own ads or generate income from your site. Most of them don’t even allow you to have your own domain name. Instead, you’ll have a subdomain (often with a long, forgettable web address). These are just some of the many disadvantages of free hosting. your website to the World Wide Web. Having your very own domain name and hosting your site on a reputable web host is the best option there is. A unique domain name looks a lot more professional than having your site on someone else’s domain (Ii.e.  yourdomainname.freehosting.com). It’s very affordable too, so it won’t break the bank. And with paid hosting, you can be assured that your website loads quickly and won’t go down for hours (which is crucial if you’re running an online business). There’s a market full of web hosting services to choose from. However, there are a handful of brands that stand out from the crowd. 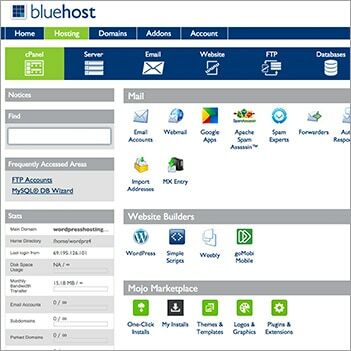 Personally, I’ve been using BlueHost as a web hosting and domain registrar.  Not only do they provide affordable and feature-rich hosting packages, they’re very reliable too. True to their promise, BlueHost ensures that you’ll get a website that works – no experience needed! They have top-notch 24/7 customer support (in the unlikely event that an issue arises), free website building tools, and they’re even providing your first domain for FREE. You should check them out right now because they’re running a limited-time promo on their shared hosting plan. So from the regular price of $5.99 per month, you can now get it for only $3.95 per month. 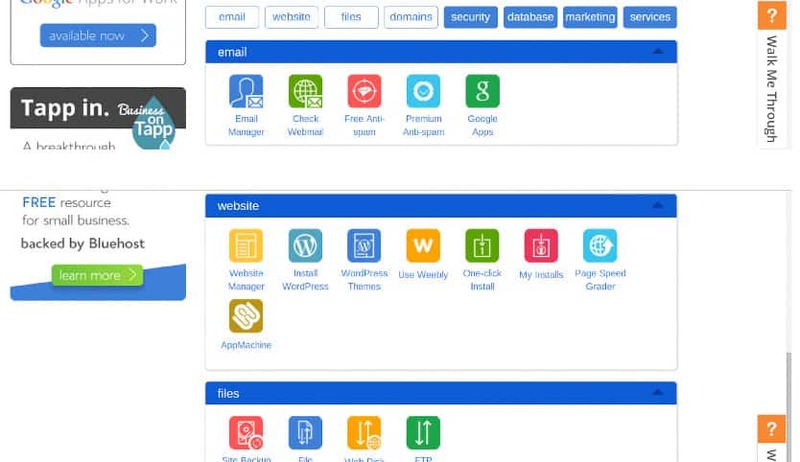 Other similar web hosts include iPage and eHost. They’are excellent options if you’re a small business owner on a budget, so make sure to check them out too. Once you register your domain name, you’ll also get a personal email account(s) – [email protected]. This looks better and more professional than the usual Gmail or Yahoo! email address, don’t you think? If you already have a domain name and web host, then go ahead and move on to the next step, where I will teach you how to set up your site on the WordPress platform. Choosing a domain name is a lot like choosing a name for your company or brand. It requires a lot of thought and consideration. A domain name serves as your online identity, so you want to make sure you choose a name that not only suits your brand, but is also easy to remember, find, and promote. Great savings on an amazing deal, right? Now that you’ve registered your domain name and set up your hosting, you’re well on your way to launching your very first website! And what better way to get it up and running than using WordPress to power your site? 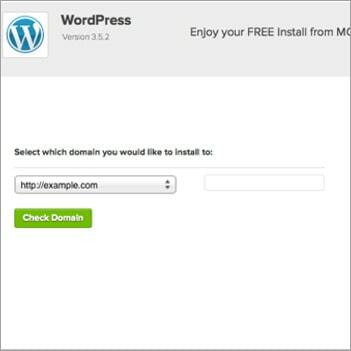 There are a couple of ways for you to install WordPress. The first one is much easier than the other. Most web hosting providers these days have integrated one-click installation for CMS like WordPress, Joomla, and Drupal; making it a whole lot easier for everyone. If you’ve registered an account with iPage or other similar web host, you should be able to find this feature in the control panel. Log in to your hosting account. You will immediately be directed to the control panel. 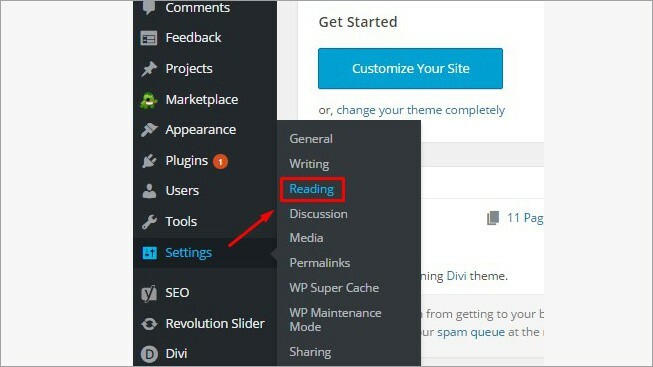 Click on the “WordPress” icon. From there, enter the domain where you want to install your website. Begin installation by clicking the “Install Now” button. 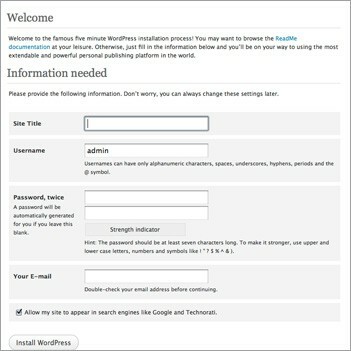 You should be able to access your new WordPress site. In the unlikely event that you couldn’t install WordPress automatically (some web hosts don’t have one-click installation), you have to do it manually. Although unnecessary, web hosts like iPage also give you this option. 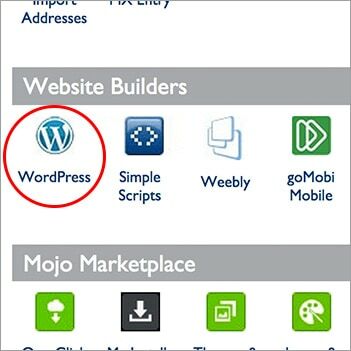 From the control panel, look for “SimpleScripts”.You will be directed to the MOJO Marketplace, where you can find, download, and install lots of scripts and applications. 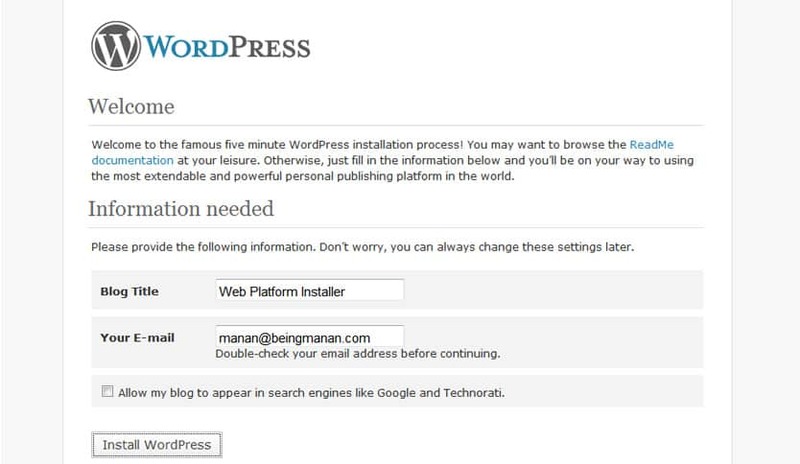 Follow the procedures on the “Install” page..
Once you’re done, click “Install WordPress”.The process should be the same with other web hosts. But here’s the thing: If a web host doesn’t have one-click installation, you may be dealing with a bad one so it’s best to avoid it and just go for a different web host! Looks very basic, right? And besides, you don’t want your site to look like everyone else! 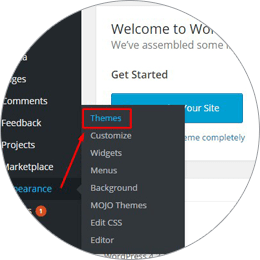 Good thing WordPress has an extensive repository where you can choose from thousands of beautiful and professionally designed themes that are completely free to use! So here’s where the real fun begins. 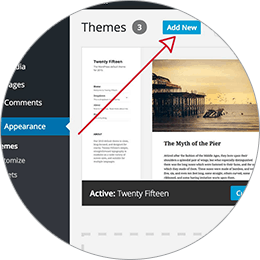 The great thing about these WordPress themes is that you can customize them to suit your site’s needs. 2. Next, go to “Appearance” then click on “Themes”. 3.From the Themes page, click on the “Add New” button at the top. 4. 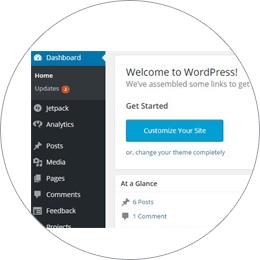 On the next screen, you’ll find a whole host of free WordPress themes that you can use for your website. 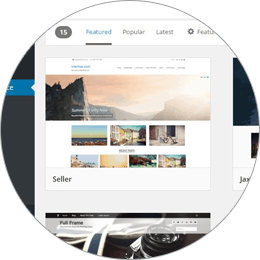 You can select from Featured, Popular, and Latest WordPress themes. 5. Once you’ve found the theme that you like, simply hover your mouse to reveal the “Install” and “Preview” buttons. Click the Install button once you go over the details. 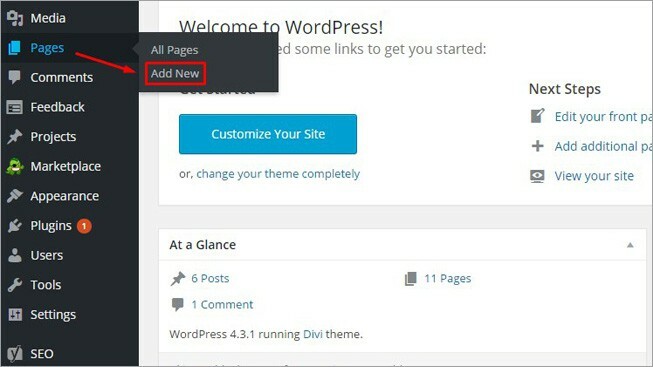 Installing a new WordPress theme is quick and easy. You can even search for specific keywords or use filters to find themes based on specific features. It may take a while to find the perfect theme for your site, but it’s definitely worth it. that changing themes won’t delete your posts, pages, and content. So go ahead and change themes any time you want because you won’t have to worry about losing what you’ve previously created. 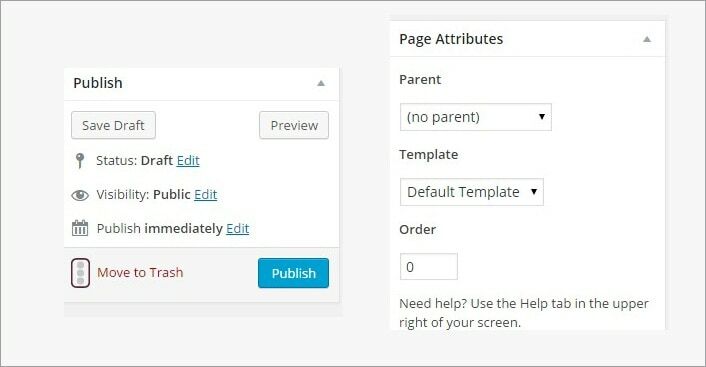 Simply put, a plugin is an extension that’s built to expand a WordPress site’s capabilities by adding features and functions that don’t come built in. They act as “shortcuts” that make it more convenient to get your site to do what you want to, without the need to build that particular feature from scratch. You can use a plugin to do everything from adding an image gallery and contact form, to enhancing your site’s security and integrating a shopping cart. Installing a WordPress plugin is a lot like adding a new theme. From the Dashboard, go to “Plugins” and click “Add New”. You will then have access to tens of thousands of different FREE plugins for various purposes. That’s right, you’ve got a LOT to choose from! And just like WordPress themes, installation is easy. 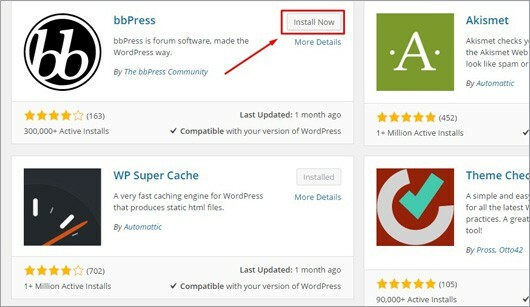 Once you find the plugin that you need, simply click “Install Now”..
You’re done! Enjoy your new plugin! 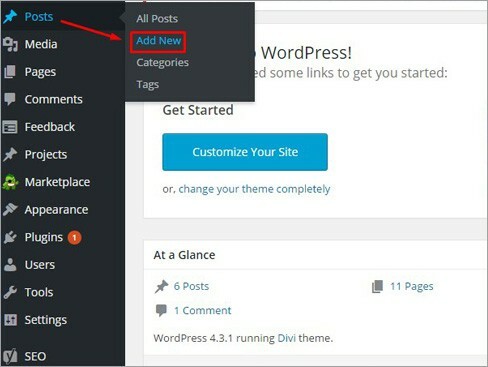 From the WordPress Dashboard, go to “Posts”, then “Add New”. 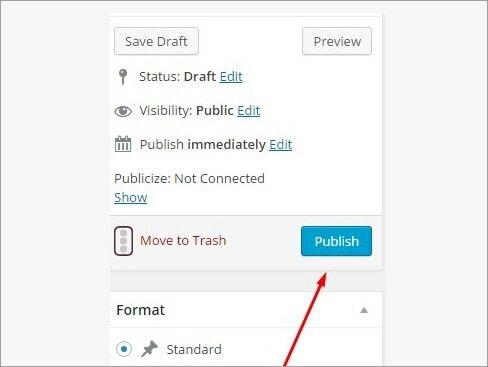 Once you’re done adding your content, click on the “Publish” button found at the left side of the screen. Doing so will bring your post to the actual website. So you want to add several different posts to your site. But the thing is, you don’t know where to put them. 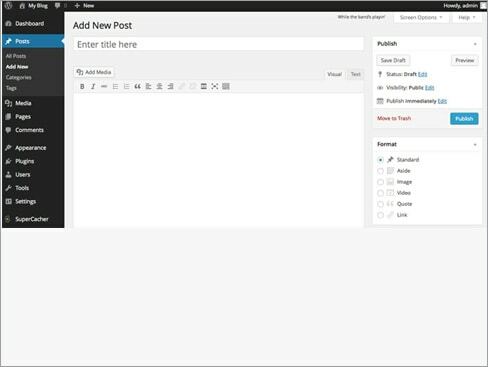 The “Publish” section of the page editor looks exactly as the one on the post editor. You can choose to publish it right away, save it as a draft, or schedule the page to be published later. From the Dashboard, go to “Pages”, then click on “Add New”.  From there, you’ll find a screen that looks just like the Posts editor.  Here, you can add content like text, images, videos, etc. to build the page you want. From there, locate the page you created and add it to the list by ticking the checkbox. Then, click the “Add to Menu” button. 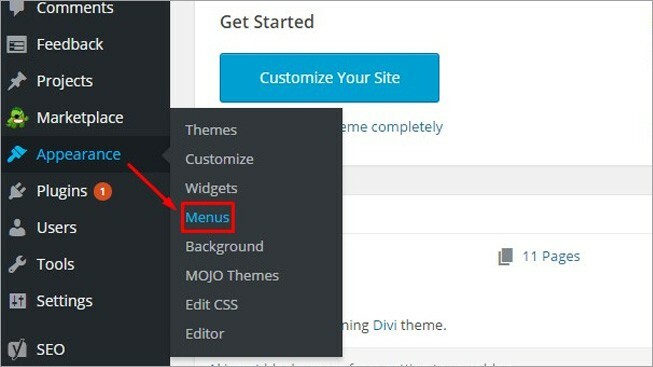 Tweak the menu settings when necessary, then click “Save Menu” once you’re done.. Frustrated that your homepage looks like a blog post? Don’t worry, I’ll teach you how to make your homepage “static”. Basically, a static page is a page that doesn’t change. 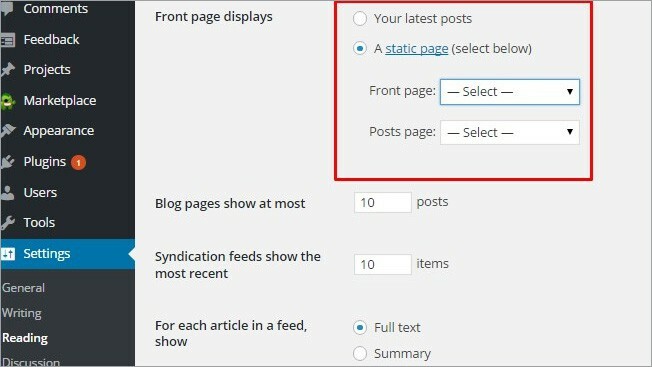 Compared to a blog where the latest post is displayed at the top every time, a static page shows the same post each time someone visits your site. From the Dashboard, go to “Settings”, then click on “Reading”. Select a static page that you’ve created. The “Front page” represents your homepage, while the “Posts page” serves as the front page of your blog (that is, if your entire website isn’t a blog). And those are the basics of using WordPress. That wasn’t so difficult, was it? I hope this starter guide serves you well but if you have any more questions, suggestions, or need help with one of the steps, I’d be more than happy to guide you. So, congratulations! You’re all set to launch your very first fully functional website! Now go and make your presence known to everyone around the world!